TORONTO, ONTARIO–(Marketwired – Dec 31, 2013) – Forbes & Manhattan Coal Corp. (FMC.TO)(FMC.TO) (“Forbes Coal” or “the Company”) has secured the offer of a significant funding package by Resource Capital Fund V L.P (“RCF“) into the Company, comprising up to a total of up to US$19.0 million (the “Transaction“). This funding package is comprised of a bridge loan of US$4.0 million (the “Bridge Loan“) and a convertible loan of up to US$15.0 million (the “Convertible Loan“). The Bridge Loan facility is to be used for general working capital in relation to Forbes Coal’s operations in Dundee, South Africa as well as to facilitate the closing of the Company’s Toronto office. The Company will incur a 5% establishment fee in connection with the Bridge Loan and the Bridge Loan will bear interest at a rate of 15% per annum, payable in arrears at the end of each calendar quarter. Subject to receipt of shareholder approval or an exemption therefrom, the establishment fee will be payable in common shares of Forbes Coal at a price of C$0.14 per share and interest payments will be payable in cash or common shares of Forbes Coal at a price per share equal to the 20-day VWAP as at the date the payment is due. The Bridge Loan will mature on June 30, 2014, provided that if Forbes Coal receives all necessary regulatory and/or shareholder approvals, as may be required, the Bridge Loan will convert into a convertible loan with the same terms and conditions as the Convertible Loan. Payment of the establishment fees and interest to RCF in connection with the Bridge Loan and the Convertible Loan (described below) in cash or common shares of Forbes Coal, and the conversion of the principal amount of the Bridge Loan or the Convertible Loan into common shares of Forbes Coal is subject to shareholder approval pursuant to the policies of the Toronto Stock Exchange (the “TSX”). Forbes Coal will be making an application to the TSX to rely on the financial hardship exemption in connection with such payments and share issuances. Reliance on the financial hardship exemption will be subject to TSX approval. The Convertible Loan facility is to be used to provide further funds for general working capital which will allow the Company to enact strategies to improve its operations in Dundee, South Africa as well as to provide for further capital investment. Subject to receipt of shareholder approval or an exemption therefrom, the Convertible Loan is convertible into common shares of Forbes Coal at a price of C$0.14 per common share. The Company will incur a 5% establishment fee based on the amount drawn under the Convertible Loan, and the Convertible Loan will bear interest at a rate of 12% per annum, payable in arrears at the end of each calendar quarter. Subject to receipt of shareholder approval or an exemption therefrom, the establishment fee will be payable in cash or common shares of Forbes Coal at a price of C$0.14 per share and interest payments will be payable in cash or common shares at a price per share equal to the 20-day VWAP as at the date the payment is due. The Convertible Loan matures on June 30, 2017. Subject to receipt of shareholder approval, the existing RCF US$6.0 million convertible loan which closed on September 4, 2013 will be amended to contain the same terms and conditions as the Convertible Loan. As a result and upon conversion of the Bridge Loan, Forbes Coal will enter into a convertible loan facility with RCF for an aggregate amount up to US$25 million (which will include the Convertible Loan). In the event that TSX approval for the financial hardship exemption is not received for all or part of the transactions contemplated by the Bridge Loan or the Convertible Loan, Forbes Coal will call and hold a special shareholder meeting to approve such transactions and the amendment of the terms of the current US$6 million convertible loan facility. Further details of the shareholder meeting will be announced in due course. Forbes Coal is also considering a non-underwritten pro-rata entitlement offer to existing shareholders for gross proceeds of up to $5 million. The offer remains subject to receipt of regulatory approval and if required, shareholder approval. The Transaction is a related party transaction under MI 61-101 and will be subject to minority shareholder approval in accordance with section 5.6 of MI 61-101. Forbes Coal will be relying on the valuation exemption set forth is section 5.5(c) of MI 61-101. Forbes Coal does not have knowledge of any material information concerning Forbes Coal or its securities that has not been generally disclosed. Neither Forbes Coal nor any of its officers or directors, after reasonable inquiry, are aware of any prior valuations that have been completed in the past 24 months. RCF currently owns 7,551,516 (21.5%) of the issued and outstanding common shares of Forbes Coal on a non-dilutive basis. Assuming an exchange rate of C$1.00 = US$1.00, if RCF converts the entire amount of the Bridge Loan and Convertible Loan and chooses to receive the relevant establishment fees in common shares, RCF will be issued an aggregate of 142,500,000 common shares, which would result in RCF holding an aggregate of 150,051,516 (81%) of the issued and outstanding common shares of Forbes Coal. If the full amount of the Convertible Loan is issued and RCF chooses to receive all interest payments under the Transaction in common shares, assuming a conversion price of $0.16 (being the 20 day VWAP as of December 27, 2013), RCF will be issued an additional 46,105,480 common shares, which, along with the shares received by RCF if it converts the entire amount of the Bridge Loan and Convertible Loan and chooses to receive the establishment fees in common shares, would result in RCF holding an aggregate of 196,156,996 (85%) of the issued and outstanding common shares of Forbes Coal. If the full amount of the Convertible Loan is issued and RCF chooses to receive all interest payments under the Transaction in cash, the Convertible Loan and the Bridge Loan are outstanding until maturity and Forbes Coal receives the requisite shareholder approvals, a total of $7,376,876 of interest would be paid. Pursuant to the Transaction RCF will have the right to participate in any future financings by Forbes Coal on a pro rata basis to its partially diluted shareholdings. In addition, provided that RCF holds common shares or the right to acquire common shares equal to at least 10% of the issued and outstanding common shares, RCF will have the right to nominate one individual to the board of directors. If RCF holds common shares or the right to acquire common shares equal to at least 30% of the issued and outstanding common shares, RCF will have the right to nominate two individuals to the board of directors. If RCF holds common shares or the right to acquire common shares equal to at least 50% of the issued and outstanding common shares, RCF will have the right to nominate three individuals to the board of directors. The Transaction is subject to, inter alia, completion of definitive agreements, approval by Forbes Coal’s senior lender, the successful closure of the Toronto office of Forbes Coal, negotiations with certain creditors and regulatory approvals, including without limitation, Toronto Stock Exchange approval and approval of the South African Reserve Bank. The Bridge Loan is expected to close on or around January 31, 2014. The Convertible Loan is expected to close on or around April 30, 2014. Upon successful completion of the Transaction, and subject to certain other conditions, Mssrs. Stan Bharti and Stephan Theron will step down as directors of Forbes Coal. Following closing of the Transaction it is anticipated that Mr. Theron, Ms. Deborah Battiston and Mr. Neil Said will resign their management positions with Forbes Coal. Following his resignation, Mr. Theron will remain a special advisor to the Company. Mr. Craig Wiggill will assume an interim role of Executive Chairman from closing of the Transaction until the date of shareholder approval. Mr. Malcolm Campbell will be appointed as Chief Executive Officer of the Company from the date of shareholder approval, and Ms. Sarah Williams will be appointed as Chief Financial Officer from closing of the Transaction. In addition, the Company is also in discussions with its senior lender regarding a restructuring of its debt facilities, and will be implementing a rebranding strategy, including a change of name, subject to shareholder approval, further details of which will be announced in due course. Forbes Coal is a coal producer in southern Africa. It holds a majority interest in two operating mines through its 100% interest in Forbes Coal (Pty) Ltd., a South African company which has a 70% interest in Zinoju Coal (Pty) Ltd. (“Zinoju“). Zinoju holds a 100% interest in the Magdalena bituminous mine and the Aviemore anthracite mine in South Africa. Forbes Coal has an experienced coal-focused management team. This press release contains “forward-looking information” within the meaning of applicable Canadian securities legislation. Forward-looking information includes, but is not limited to, statements with respect to the Transaction with RCF, references to the private placement and future financial or operating performance of Forbes Coal and its projects. Generally, forward-looking information can be identified by the use of forward-looking terminology such as “plans”, “expects” or “does not expect”, “is expected”, “budget”, “scheduled”, “estimates”, “forecasts”, “intends”, “anticipates” or “does not anticipate”, or “believes”, or variations of such words and phrases or state that certain actions, events or results “may”, “could”, “would”, “might” or “will be taken”, “occur” or “be achieved”. Forward-looking information is subject to known and unknown risks, uncertainties and other factors that may cause the actual results, level of activity, performance or achievements of Forbes Coal to be materially different from those expressed or implied by such forward-looking information, including but not limited to: general business, economic, competitive, foreign operations, political and social uncertainties; a history of operating losses; delay or failure to receive board or regulatory approvals; timing and availability of external financing on acceptable terms; not realizing on the potential benefits of the proposed transaction; conclusions of economic evaluations; changes in project parameters as plans continue to be refined; future prices of mineral products; failure of plant, equipment or processes to operate as anticipated; accidents, labour disputes and other risks of the mining industry; and, delays in obtaining governmental approvals or required financing or in the completion of activities. Although Forbes Coal has attempted to identify important factors that could cause actual results to differ materially from those contained in forward-looking information, there may be other factors that cause results not to be as anticipated, estimated or intended. There can be no assurance that such information will prove to be accurate, as actual results and future events could differ materially from those anticipated in such statements. Accordingly, readers should not place undue reliance on forward-looking information. The Company does not undertake to update any forward-looking information, except in accordance with applicable securities laws. Forbes & Manhattan Coal Corp.
Payday Loans No Creditcheck No Faxing Once a suitable payday loan have been obtained, the individual will not be expected to repay the loan before arrival of his or her next pay check. Normally, the repayment period is dependant on a weekly pay period, but sometimes pay day loans are offered with extended repayment periods too. Cash Advances in 24 Hour. Not Send Fax to US. Cash wired directly to your account. Cash Today. The loan uses the next paycheck being a kind of collateral, so online payday cash loans are often better to get than traditional loans or credit. Online pay day loans are fast, efficient and affordable. They’re delivered in under twenty four hours to anyone, irrespective of any past payment problems. Are you accented concerning the financial situation Every individual will get because of this sometimes, nevertheless, there is certainly support to suit your needs. You can obtain a cash advance Victor Cruz Tee shirt from the company that provides speedy-musical phrase financial loans. Nevertheless, there will be something you need to take into consideration while suffering from it. Adhere to this recommendation to ensure the process techniques easily. When you find yourself intent on receiving a payday cash advance, you should instantaneously set out to reserved cash so that you will be capable of fork out of which personal loan again once it is usually due to. Payday advances are only till your own future income which means you do not have in which enough time to financial situation your cash. You better think again before you take out there a lawsuit advance. Regardless how very much an individual envision you will need the income, you must realize these types of unsecured loans are extremely high priced. Definitely, if you have hardly any other method to arranged dinners from the Winner Cruz Hat kitchen Wholesale replica handbags table, you want to do what you will be in a position. Even so, many payday cash advances turn out asking for men and women double the amount amount these people credited, after they invest the bucks pertaining to personal mortgage loan off of. For anyone who is thinking of by using a advance loan support, be informed about the way in which the company expenses their own fees. Almost all of the loan fee emerged to be a level total. All the same, when you establish it a portion flat, it could go above this proportion flat that you’re currently being recharged within your credit cards. A flat fee can take place reasonably priced, but could charge somewhere around 30Per dime of the initial personal loanword occasionally. Simplicity your current issues concerning scarcity of equity Victor Jones Jacket employing a payday loan. The majority of creditors would need someone to hope several reference that you individual whenever funding income, so they have got anything for taking if you cannot settle the amount of money. Online payday loans, even though only obtainable throughout a small amount, supply cash without the need of ensure. Which means that, although you may don’t have a possessions for you to toast, you are able to nonetheless receive a payday loan when you really need 1. Before signing regarding the marked collecting for that payday loan, talk to your regional Significantly better Organization Bureau primary. Make sure the corporation a person cope with is actually respected and also snacks customers with admiration. Many organisations all around are offering payday loan firms an extremely horrible position, and you simply wouldn’t like to be a figure. Don’t use Master Cruz Hat funds in the payday loan help when you are aware you will definitely be unable to stand backside duly. Payday loan make the perfect opportunity if utilised effectively along with repaid about plan. However, the lack of ability to cover the particular fiscal loan again on time can lead to departure the particular loan a lot more than in the unexampled monetary loanword using further enthrallment. This could resulted in a grow out of control impact which might be difficult or maybe inconceivable to escape. If you wish Victor Cruz T-shirt dollars, you possibly will not have in mind the very best areas to transform. That’s a problem all of us have. Fortuitously, Shop Dior HandBags Cheap payday cash loans provide you with possible ways to devote your debt after you do not have sufficient funds. Operate the selective information laid out in this article in addition to analysis carefully. It’s going to be easy to get rear all on your own feet . shortly.
. During the repayment period it’s also important to understand your responsibilities and the difference between collection and harassment from the loan provider. Advance payday loans usually allow a person to borrow between one hundred and one thousand dollars unsecured upon the agreement you will repay the loan in lump sums usually direct debited from the borrowers’ bank account. Advance payday loans are easy to apply for; where a person only needs to fill out an application online, provide bank details, photo identification and confirm all information in the application is correct with the loan lender. If you have agreed to a payday loan contract you have the right to enquire about a reduced repayment method should you not be able to meet the agreed repayment loan amount. A lender can contact an individual about repayment however lenders must not contact the borrower more than three times a week, must not frighten or make threats towards the borrower. Should this incur the individual has the legal right to report the lender for harassment. A lender can also only contact borrower’s between reasonable hours, usually business hours. firms or banks especially if you do not have a really impressing credit standing. A good credit score is an essential factor for an individual to get approved for his or her loan applications. Banks and other lending institutions want to make sure that you can pay them back and roll that payment in order gain more interests. This is how loans work. You have to really build a good credit standing in order the banks to trust you. However, not all people have spotless credit history. Some people have really low credit score for a variety of reasons. And all these reasons boil down to poor management of money and resources. When this happens, it will be a lot harder for you to get approvals for your loan applications. On emergency situations, you have to think of ways on how and where to get the funds. Fortunately, you can now find a lot of companies that offer bad credit payday loans. These are specifically offered to those people who have very low credit scores. They can avail of this type of loan and they have great chances of getting approved immediately. This type of loan has its own pros and cons though. Let us start with the pros or the advantages. For those who badly need money as soon as possible, this loan is great for them because a payday loan can be processed half a time compared to regular loans. Additionally, there won’t be a lot of papers and documents to be passed. Applicants only need to submit necessary information like their jobs and bank details. One can apply online and be approved online as well. If a person gets his loan approval, immediately the money will be deposited to his bank so there are really no such hassles. When talking about the cons or the disadvantages, experts only cite a few. 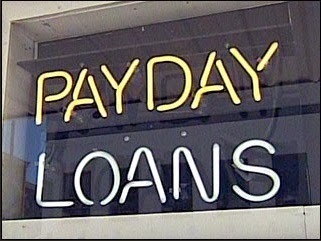 First, payday loans should be paid in full which is really hard if you have monthly obligations. Secondly, the amount released for payday loans is usually not substantial. It is only for emergency purposes so it is not that big. And lastly, the payback term is usually very short so the money can still be rolled out. You are only given enough time to handle your finances. You have to make sure that you pay on time so you can still apply for the same loan in the future. These are some things that you need to know about bad credit payday loans. It is very important that you know the advantages and the disadvantages before you actually apply so you won’t regret it after. For some people, these disadvantages are not that heavy. It won’t really have an effect on them especially if they badly need the money. So for those who do not really need money that much or if the need is not that urgent, is is recommended that you find other options or solutions before deciding to apply for a payday loan. Nothing really beats being prepared for emergencies and building good credit ratings. So instead of splurging on unnecessary expenses, just save up so that when something bad comes up, you will have something to fall back on – because emergencies do happen, regardless of whether you are financially stable or not. However, if you are still trying to build a credit standing or perhaps fix your credit rating, applying for these types of loans is your best bet for solving emergency problems and meeting your immediate needs. >> Payday Loans No Minimum Monthly Income No Fax – Looking for $1000 Fast Loan. Easy approval 5 minutes. Get Online Now. Payday Loans No Minimum Monthly Income No Fax Need Get Cash in Overnight. No Need Any Faxing & Bad Credit OK. Approvals in 2 Minutes. Quick Cash Now. These are generally reasonable and promise that you’ high paying job. Other than its reasonable it becomes an advantage when you shift roles as these loans are manufactured for this specific purpose too. They supply materials like supplies, books, routine expenses and tuition costs in the course period. Payday Loans No Minimum Monthly Income No Fax$1,000 Wired to Your Account.Fast and Secure Application.Payday Loan in Fast Time.Instant and Easy Approval.Payday Advance in Fast Time.Apply Cash Today.No Credit Required.Receive cash in Fast Time.Fast Approved.Need up to $200-$1000 in Fast Time?. INTERLUDE Are you finding this document linked to cash advance short term so far beneficial? I’m hoping so because that is the point of this text – to acquire better educated on pay day loan fast cash and also other similar faxless pay day loan, free payday loan, a bad credit score payday cash advance payday loans a low credit score loan, pay day loan and info.There are countless establishments located throughout the countries which behave as companies for career loans. Payday Loans No Minimum Monthly Income No Fax. Online payday cash advance loan and several other loans have been introduced to the business of money lending. These payday loans are solution to all of the problems of the customer. Everybody benefits from an internet payday cash advance loan – using one hand, customers contain the advantage of instant cash and also on the opposite hand, creditors benefit by permitting their funds back also as interest inside type of fees and APRs. Payday Loans No Minimum Monthly Income No Fax. Benefits Of An Payday Loan Payday loans bring many benefits. Earlier, people avoided going for loans because there counseled me done manually as well as a lot of documentation was required. Payday Loans No Minimum Monthly Income No Fax. Fast Cash in Hour.Flexible Payments.Get Money Tonight. >> Free Loans For Bad Credit – $100$1000 Fast Cash Online in Fast Time. All Credit Types Accepted. Get Started Now. Cash advance payday loans may help you with emergency situations minimizing your stress levels quite a lot by understanding that your debts and debts or whatever you require the paycheck cash advance loan is required for, are looked after. Payday cash loans is only another avenue to explore instead of a loan having a lasting payment plan that needs a credit check needed. The fast cash cash advance always features a payback rate that will be disclosed before you invest in the money. Free Loans For Bad Credit INTERLUDE Are you finding this document associated with pay day loan paycheck up to now beneficial? I’m hoping so because that’s the point with this text – to acquire better educated on cash advance paycheck and also other associated faxless payday cash advance, free payday cash advance, low credit score payday cash advance payday loans a low credit score loan, payday loan and info.There are many establishments located throughout the countries which behave as service providers for career loans. Free Loans For Bad Credit. However while using current financial climate this example is now each of the more common. If you discover youself to be in domestic hot water and can’t wait till payday a fast Cash Advance Payday Loan is available. Free Loans For Bad Credit. Rather than getting yourself into situations you’d rather notbe by borrowing from the friends and family in order in order to avoid long repayments and high interest, take out a payday loan. Here it is achievable to obtain the money you need, once you require it making your repayment within 30 days. Free Loans For Bad CreditNext Day Cash Advance.Bad Credit and No Credit OK.Act Now. >> No Fax Cash Advance Payday Loans Online – Next Day Cash Advance. Approved Easily & Quickly. Quick Cash Now. Most payday cash advance lenders will assign a 14 to 31 day time period to the loan. If someone is worried about the repayment time limits, he or she should not worry excessive as many payday loan lenders do offer a roll-over facility where the repayment term can easily be extended. Individuals should note though which will they choose to extend the repayment term they would most likely encounter additional pay day loan charges. No Fax Cash Advance Payday Loans Online – Easy Cash in Fast Time. Low credit scores not a problem. Fast Accepted in Minutes. Apply Now. Looking for $100-$1000 Fast Cash Online. No Faxing Required. Easy Credit Check. Instant Approval. Act Now. You should always keep in mind that in a few months, or even next month, your “hot new item” could be last month’s fad, the other else would have already taken it’s place. So, there you’ll go salivating again! It’s a viscous cycle, and another excuse to resist treatment of payday cash advances. No Fax Cash Advance Payday Loans OnlineComparing payday loan companies online helps save time and money. By researching rates, fees, and terms, it can be done to discover the best cash advance company. According to federal law, payday loan lenders must post their rates and costs so you’ll have the ability to make comparisons. Researching Rates Cash advance companies are necessary to post their rate by once a year percent rate. In other words, they list the lending rate for the whole year. Payday loans are intended to provide a cash advance to get a short period, usually just until your following pay period. But if you find you may need more time, you are able to arrange that using your lender. No Fax Cash Advance Payday Loans Online – Listed APR’s do enable you to produce quick comparisons of rates since all lender’s have to adhere to this standard. With a quick check with the numbers, you are able to find a low interest rate rates. Up to $1000 Fast Loan Online.No Hassle/Fax.Apply for Cash Loan Now. LOS ANGELES, Dec. 30, 2013 (GLOBE NEWSWIRE) — Wilshire Bancorp, Inc. (WIBC), the parent company of Wilshire Bank, announced today that the Board of Directors has declared a quarterly cash dividend of $0.03 per common share. The dividend will be paid to all stockholders of record as of January 6, 2014, payable on January 15, 2014. Headquartered in Los Angeles, Wilshire Bancorp is the parent company of Wilshire Bank, which operates 38 branch offices in California, Texas, New Jersey and New York, and nine loan production offices in Dallas and Houston, TX, Atlanta, GA, Aurora, CO, Annandale, VA, Fort Lee, NJ, Newark, CA, New York, NY, and Bellevue, WA, and is an SBA preferred lender nationwide. Wilshire Bank is a community bank with a focus on commercial real estate lending and general commercial banking, with its primary market encompassing the multi-ethnic populations of the Los Angeles Metropolitan area. For more information, please go to www.wilshirebank.com. Statements concerning future performance, events, or any other guidance on future periods constitute forward-looking statements that are subject to a number of risks and uncertainties that might cause actual results to differ materially from stated expectations. Undue reliance should not be placed on forward-looking statements, as they are subject to risks and uncertainties, including but not limited to the risk factors set forth in our most recent Annual Report on Form 10-K and our other filings made from time to time with the Securities and Exchange Commission. Specific factors that could cause future results to differ materially from historical performance and these forward-looking statements include, but are not limited to: (1) loan production and sales, (2) credit quality, (3) the ability to expand net interest margin, (4) the ability to continue to attract low-cost deposits, (5) success of expansion efforts, (6) competition in the marketplace, (7) political developments, war or other hostilities, (8) changes in the interest rate environment, (9) the ability of our borrowers to repay their loans, (10) the ability to maintain capital requirements and adequate sources of liquidity, (11) effects of or changes in accounting policies, (12) legislative or regulatory changes or actions, (13) the ability to attract and retain key personnel, (14) the ability to receive dividends from our subsidiaries, (15) the ability to secure confidential information through the use of computer systems and telecommunications networks, (16) weakening in the economy, specifically the real estate market, either nationally or in the states in which we do business, and (17) general economic conditions. Additional information on these and other factors that could affect financial results are included in filings by Wilshire Bancorp with the Securities and Exchange Commission. A fax payday loan is a short term, low rate loan. When unexpected bills or emergencies come up and you just don’t have the money at the moment, a fax payday loan is an option. It is called a payday because the loan is usually only held until the borrower’s next payday. Because it is such a short term loan, the amount on the loan is usually low. The typical amounts offered in a fax payday loan are between $100 and $1,000.When applying for a fax payday loan there are a few ways to do it. The most popular and convenient method of applying is online. There are many sites online which offer fax payday loans. It is also possible to apply over the telephone or in person. Some fax loan companies have offices in certain cities.There are a few things necessary when applying for this loan. The most important requirement is an income which you can show proof of. In order to be eligible for a fax payday loan the borrower must prove that he can repay it. Most types of income are accepted, such as wages from a job, unemployment, temporary disability, Social Security, and workers compensation. There are also a few types which are not accepted. Social Security in another person’s name and state welfare checks names a couple which are unacceptable.Another requirement for a fax payday loan is a bank account. When the borrower receives the loan money it is direct deposited right into the borrower’s account. When the loan becomes due, the loan is taken directly out of the borrower’s account. Without a bank account the exchange of funds would be more difficult.It is necessary to have access to a fax machine when applying for the loan. This is because before the loan company approves your loan, they must see proof of your income. The borrower is required to fax a pay stub or any other proof of income that they may have. Most loan companies also require that the borrower fax their bank information. This way the lender has all of the banking information necessary to deposit and withdraw the funds. Most lenders also fax a loan agreement to the borrower which the borrower must sign. The loan agreement is very standard and just states the terms of the loan. The borrower is required to sign stating that they agree to the terms and also to give the lender permission to withdraw the funds from the borrower’s account when the loan becomes due.Like anything in life a fax payday loan is not free. There is an interest charge on the loan. The interest charge depends on how much the loan is for. The more the loan, the more the interest charges will be.If the borrower does not have the money when the loan is due, he will be able to take out an extension on the loan. The extension usually gives the borrower another week to pay off the loan. The extension however, does come with a price. Each week the loan is extended, the borrower will be required to pay an additional interest charge. For example if the borrower takes an extension for two weeks, he will be responsible for repayment of the loan as well as three finance charges. If the loan is held too long, the borrower can end up owing an awful lot of money.A fax payday loan is a good idea for someone who needs money fast.